Land Day in Palestine | Fight Back! 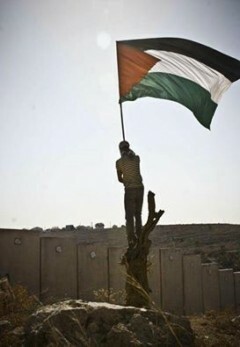 As we commemorate Land Day this year, the Palestinian people continue their great struggle throughout historic Palestine, in the West Bank, Jerusalem, Gaza Strip and Occupied Palestine 1948, together with the Palestinian people in exile and diaspora, together marching forward in a militant, democratic struggle for national liberation which will end only with victory, freedom, return and self-determination. March 30 is a date of great significance in the Palestinian national liberation movement. On this date in 1976, the Palestinian masses in the Galilee, the Naqab, and the rest of Occupied Palestine 1948, as well as the Palestinian masses in the lands occupied in 1967 and in the diaspora, rose up against the policy of land confiscation by the Zionist state. The Palestinian people struggled to defend the land that has birthed and embraced them for milennia, to which they have given their blood, sweat, thoughts and dreams, the place of home, homeland and identity. The Palestinian struggle against the Zionist entity is an existential struggle for liberation; a struggle to liberate the land, for the return of Palestinian refugees at the core of the Palestinian cause, and the central core of the Arab-Zionist conflict. Land Day in 1976 and the uprising of Palestinian youth also exhibited to the world the falsity of the Zionist myth of a “land without a people for a people without a land,” confirming the role of the Palestinian people of 1948 and the depth of their connection, power and resistance as an integral part of the Palestinin Arab nation. The racist apartheid Zionist regime has attempted to falsify history and geography and erase the national identity of the Palestinian people in Occupied Palestine 1948. Despite the state policies, decisions and actions of racism, erasure and Judaization, the Palestinians of 1948 continue to uphold their rights as the indigenous people of the land, to hold fast to thier land, their villages, and their holy places. Land Day is an eternal icon of pride, of the sacrifices and blood of the Palestinians of the Galilee, the Triangle, the Naqab, Umm al-Fahm and Sakhnin, asserting that the land of Palestine is that of the Palestinian people. Today, the children and grandchildren continue, generation after generation, on the ground, in struggle, intifada and confrontation with the occupation, that the struggle and rights of the Palestinian people do not die. Mass deportations, land confiscation, the razing of villages, the changing of names and the implanting of false “parks” and “forests” over the land of Palestine do not change the facts of history and geography over thousands of years. Palestinian national identity remains despite attempts to impose Israeli identity and pressure to perform military service. Palestinians in 1948 are involved in all aspects of the intifada and struggle together to reject displacement, land confiscation, settlement, occupation, Judaization, racism, and apartheid, including the ethnic cleansing of Jerusalem and the division of Al-Aqsa mosque. As we commemorate Land Day and remember the martyrs and the wounded, we salute the continuing struggle going on for more than six months, and the youth in uprising, struggling throughout historic Palestine to confront the colonizer and its repressive policies. Today’s huge sacrifices among Palestinian youth require greater provision of support and participation at the official and popular levels. Our history and the lessons of past uprisings confirm the impossibility of reliance on the illusion of negotiations; this is a moment at which unity in the field must be strengthened, a national unity that moves beyond narrow factional interests and division in order to build a comprehensive policy of confrontation with the Zionist state and reject futile negotiations. 1. The importance of the united struggle of the Palestinian people in Occupied Palestine 1948 with the entire Palestinian national struggle and the achievement of rights and justice for the entire Palestinian people throughout the land of Palestine. 2. The importance of confronting and opposing Zionist racism and prosecuting the crimes of the occupier, including intensifying the boycott campaign on political, economic and academic levels to confront the racist occupier and to build the global movement for boycott, divestment and sanctions. 3. The reordering of national priorities to emphasize the restoration of national unity in the course of a comprehensive democratic process to rebuild the Palestinian political foundations, its mass institutions and unions, and the Palestine Liberation Organizations. 4. The importance of the daily crisis and concerns of our people, especially the refugees in the camps, in particular the importance of rejecting all attempts to subjugate or suppress our people in the camps or liquidate or reduce the services of UNRWA. 5. The critical imperative of ending any reliance on negotiations, and of immediately ending all forms of security coordination and cooperation on an official and individual level, and of immpediately implementing all Palestinian Central Council resolutions on relations with the Zionist entity. 6. The importance of confronting the so-called “Jewish state” project as an expression of Zionist racism, and marching toward a single, democratic, liberated Palestine on the entire land of Palestine with the return of Palestinian refugees.